Hello Hello! It's been a few weeks ><. Sorry for not keeping up with my blog, I've had a few issues with my internet and school work. Spring break flew by.. it didn't even feel like a break. Anyhow, I received my Ipsy bag (of course you know that from the title). The colors that I received were perfect for me and they are all products I would use. Let's just get into it shall we? Ipsy's April bag theme is Beauty Rocks. Although the theme is 'beauty rocks' I feel like the products I received help give a spring look or a young and brightened fresh face type of look. The theme made me think of a more smokey rocker chic type look. This month's bag is deep blue with a silver record on the front. The graphic on the bag is suppose to be a record player or old school turntable type thing in my opinion. The length of the bag is slightly shorter than usual but the height of the bag is about an inch or so higher. One of the products I received was lollitint from Benefit Cosmetics and retails at $30. It's a orchid/pink lip and cheek tint. 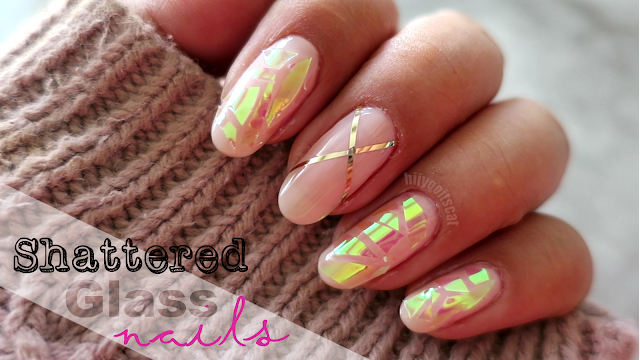 It is really pretty but it's also really sheer when blended out. The other issue with this product is that it can stain in the same place you applied it if you don't work quickly to blend it out. When I say quickly I mean immediately after application. It's really pretty on both the cheeks and lips. If you didn't receive it in your bag or have not tried it, go ahead and head to the store and test it out. If you're familiar with posietint, also by benefit, I can say that this product is not as runny as posietint but it is as sheer. 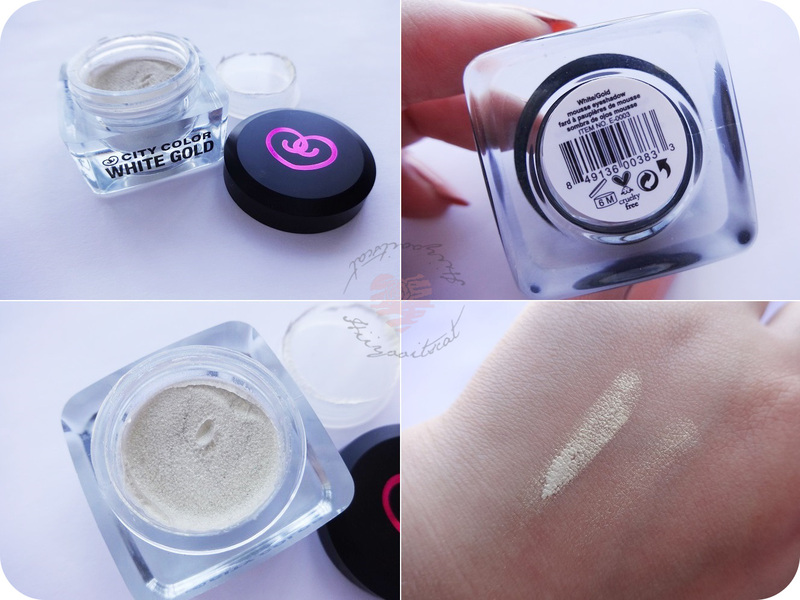 I also received City Color's White Gold shadow and highlighter. It's a beautiful white mousse with gold sparkles. It's only $3.99 and a little goes a long way. I think it's gorgeous on the inner corners and inner half of the lower lash line. I also tried it as a highlighter but it's a bit too shimmer in my opinion. In my bag was also Urban Decay's 24/7 Velvet pencil liner. If you're familiar with the 24/7 liners then you already know that the price point is $20 each. 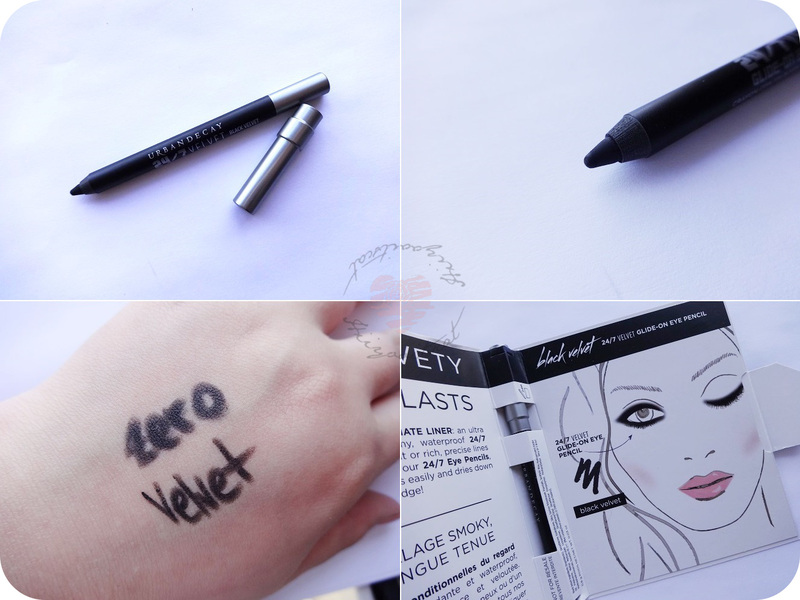 I did a comparison with the Black velvet and another 24/7 liner in Zero (seen below). I think that the velvet liner is much darker and 'matte/velvet' just like the title it has been given. It is really creamy and easy to smoke out. They only have one color at the moment, I hope they add more colors. I am already a huge fan of Kiss lashes and these lashes are on the top of my list. They are only $3.99 and they look and feel very natural. The difference between these and other lashes are the tips of the lashes. They ends of each lash is tapered giving it a more realistic look. If you're a lash person like me, give these a try! My ipsy bag is not complete without a lip product (so it seems). 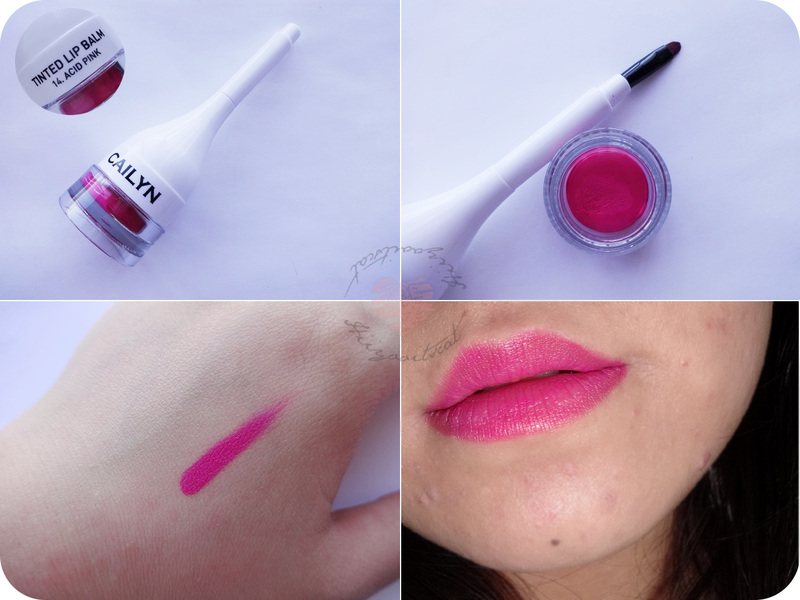 I really like the color and packaging of Cailyns tinted lip balm, it also retails for $19. 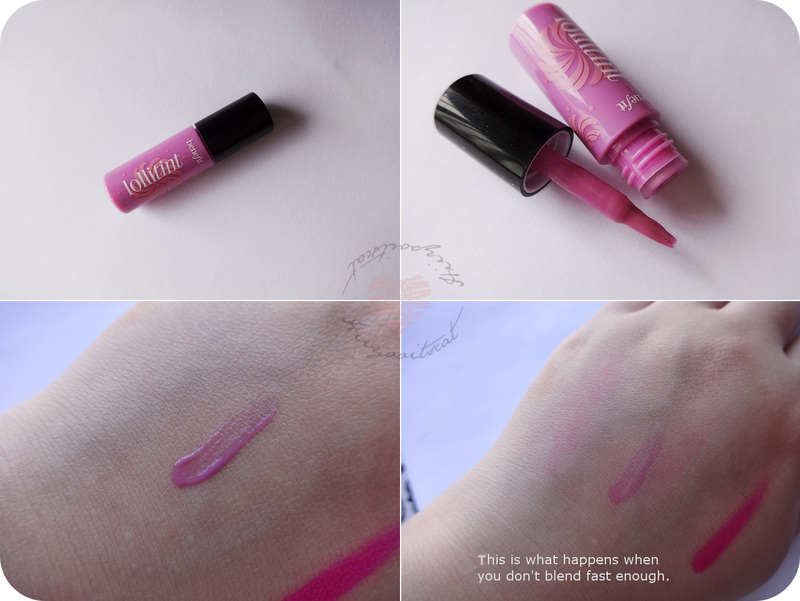 I received the color Acid Pink, it's a hot pink lip shade. First off, the packaging seems very cheap. It's plastic and every-time I close the lid it makes a squeaking noise. There is also a lip brush incorporated in the lid. You just slightly pull on the lid and the brush comes out. If you want more precision during application as well as a comfortable feel on the handle you can place the end of the brush back in the lid; it really makes the brush easy to control. The color is bright and opaque. I really don't see how it's a 'tinted lip balm'. I also noticed that my lips didn't feel moisturized or hydrated. It is a really pretty color though and I will probably wear it a lot this spring and upcoming summer. My bag this month is worth a little over $30! The same as last month and I do like it. The colors and products were right up my alley. My favorite product of the bag has to be the lashes because.. what can I say I love false lashes! The least favorite? it is a bit hard because I do like them all, however, I will say the tinted lip balm. The only reason I chose Cailyn to be my least favorite is because it's suppose to by moisturizing but I didn't feel any bit of it on my lips. Have you checked out my other Ipsy bags? (my review here). Not an Ipsy subscriber yet? What are you waiting for?!! Sign up to start receiving your monthly bag.